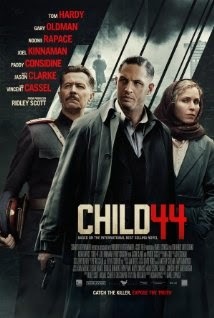 Although the early reviews of the film Child 44 have not been kind, I look forward to seeing the film, as I enjoyed the Tom Rob Smith thriller that the film is based on. The thriller, set in the bad old days of Stalin's Soviet Union, is about a Russian serial killer and the MGB (forerunner to the KGB) officer out to catch him. 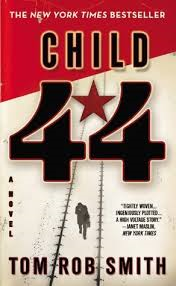 I wrote about Tom Rob Smith's Child 44 in my Crime Beat column. Andrei Chikatilo is not as well known as his fellow serial killers Ted Bundy and Jeffrey Dahmer, and if the Soviets had their way, no one would have ever heard of him. According to the Soviets, crime did not exist in their worker’s paradise. But as the dead bodies piled up, the killer who came to be known as The Rostov Ripper was finally caught and convicted of brutally murdering 52 women and children between the years 1978 and 1990. Chikatilo told the Soviet court that he performed a service for the Soviet system by eliminating what he called “worthless people.” Chikatilo was executed in 1994. HBO made a good film about Chikatilo called Citizen X and Tom Rob Smith has written a good fictional account of the Chikatilo case, called Child 44. The 30-year-old writer said he was researching a screenplay when he came across the Chikatilo case. “The more I dug into the case, the more clear it became that he evaded capture not because he was ingenious but because the Soviet criminal system was reluctant to admit he even existed,” Smith wrote in his web page http://tomrobbsmith.com/.